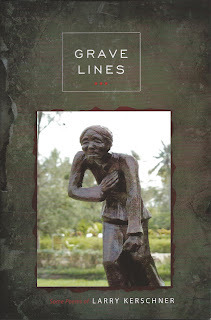 Fellow Veteran For Peace and friend Larry Kershner has published a collection of poety, Grave Lines. Larry's poems explore his Vietnam combat experience and the understanding that experience has contributed to his awareness of the world and its people in the many years since Vietnam. Larry describes his work as "in your face" and it is, often uncomfortably so. The discomfort is testament to the truth in Larry's work. as mine were nothing to him. Copies are $10, available directly from Larry. Email him at Larry@peacepoet.me. May 20, 1989. Grand Canyon, Arizona. It's morning on Horseshoe Mesa. A leisurely one at that. Sun came up about a half hour ago--at quarter to six-- and I am just getting breakfast going. For once on a Canyon trip I don't have to blast off first thing in the morning. It's great just sitting here looking east toward Desert View and Hance Canyon. Maggie and I hiked in yesterday, covering the 3 mile trail in about 3.5 hours. Found a nice campsite with a bit of shade and promptly zonked out. We really needed the break after getting up at 3 am to drive up on Friday. The mesa afforded us a grand sunset: long, slow, and intense with Mercury and Jupiter suspended just above the rim before slowly setting. Later the full moon rose dramatically over the rim, preceded by an intense glow. The silvery disc appeared as a bright sliver on the rim and quickly grew as it emerged. Within minutes it was fully above the rim bathing the Canyon in a bright light. Canyon walls stood out in a dark relief under the strong moonlight. Now it's Saturday afternoon after a delightful four hours hanging out at Page Spring sitting in the shade, sleeping, washing up and drinking water. The spring is a large pool in a shaded grotto with leafy green vegetation hanging from its ceiling. Water drips steadily from the ceiling, creating a most soothing effect. The trail down is steep and rocky in places but easy to follow. It passes a deep mineshaft which still has rails in place on the floor and a pipe of some sort along the ceiling. A piece of machinery--looks like a pump--sits on the ground adjacent to the shaft. A rusted wheelbarrow sits on the side of the trail just above the spring. Lots of small animals, especially lizards and hummingbirds, were evident around the spring. A couple ravens cruised by as well. The walk back to camp with 12 quarts of water wasn't bad--we made it up in 45 minutes--15 less than the trip down. 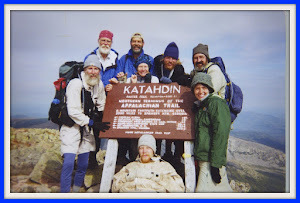 Once back in camp we explored the Cave of the Domes on the west side of the mesa. We walked in about 100 feet--it's large, multi-chambered, cool and dusty with lots of stalactites and stalagmites. That's the headline I would have used a few weeks ago to describe my local velo experience after several days of heavy rain. I never got around to making that post. Now that the weather is very nice, the headline no longer applies but I like it enough to use it anyway. Yesterday slugs and worms were not in evidence. We had bright sunlight and warm temperatures after several days of increasingly sunny, dry weather. Truly the early days of summer here in Olympia. The trees are filling in with green. Flowers in bloom everywhere. People out and about in shorts in t-shirts. I rode in a t-shirt for the first time this year yesterday. Last week was cool and overcast. I managed to ride early, hoping to dodge predicted mid-day showers. A nice enough ride but nothing like yesterday. When the sun comes out here this place sparkles. A few weeks ago--the week of slugs and worms--was much cooler and darker, pretty much what I expect in early spring here. The slugs were pretty easy to spot with their eyes periscoped up; they looked intent on getting somewhere. The worms were less easy to see. As a rule, I keep a sharp look out a (a lesson deeply imbedded in my brain from booby trap training in the Army) and so I didn't run over anything. Yesterday's fauna amounted to a wooly caterpillar and a small garter snake, both easily spotted in the bright sunlight.